The Puzzle Page: 4 + 5 = 10? 4 + 5 = 10? 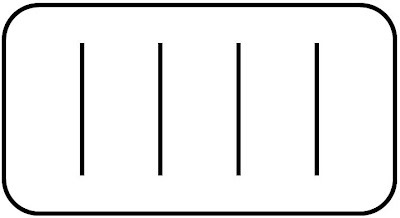 In the figure below are four straight lines. Can you add five straight lines to the figure to end up with ten? you draw lines to make the diagram spell T E N.
well, it worked in square fonts like courier new.